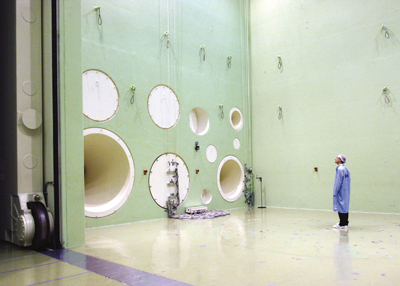 The Large European Acoustic Facility is used to perform acoustic noise tests on spacecrafts and their external payloads to assure that no damage will occur during the rocket launch. 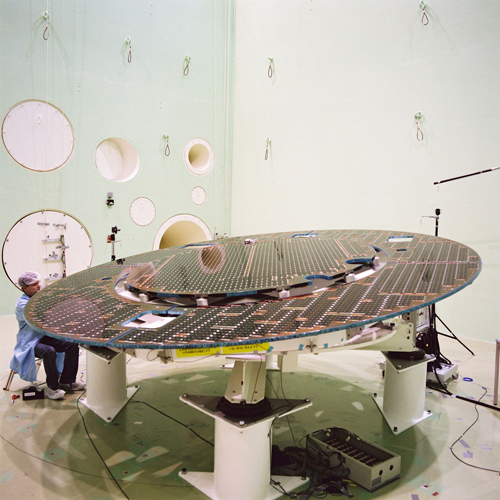 The facility simulates realistic spectral noise pressure levels comparable of those generated by the launcher engines and air flow passing along the launcher faring. The automatic control system offers a great variety of selectable noise levels, spectral shapes and test durations to meet user requirements also from outside space industry. 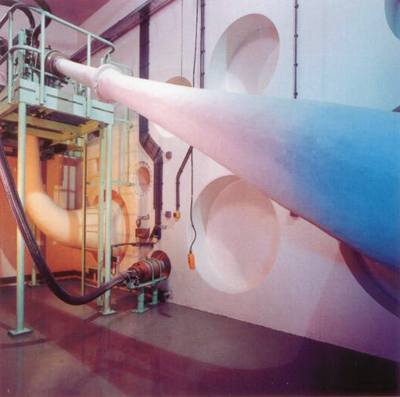 The noise generation system consists of four different horns with cut-off frequencies of 25Hz, 35Hz, 80Hz and 160Hz plus three high frequency generators: All together allowing acoustic excitation in the frequency range from 25Hz to 10kHz and an overall noise level of 155dBL. Acceleration response measurement can be recorded by a mobile data handling system with up to 512 measurement channels.